How Do Private Swim Lessons Save You Money? Growing up, I often heard the statement, “Practice makes perfect.” Now that I am a husband, parent, and supportive friend, I’ve found that I can’t disagree more with that old statement. Instead, I’ve come to firmly believe that “Practice makes progress.” I apply this principle in my daily life, but it has also been a major influence in the structure and running of my business. I knew before I finished my college education that I wanted a career in teaching swim lessons. But was there a better, more efficient way of doing so when most classes had 3-10 students? After teaching group and private lessons throughout college, as well as taking many child psychology courses to understand the dynamics of learning, my mission became clear: teaching private swim lessons was the best way to proceed. Private swim lessons gives students the ability to maximize their learning time in a one on one setting with their instructor. One on one instruction allows teachers the opportunity to focus on their students needs and unique learning style, enhancing practice time and making efficient progress. After all, “practice makes progress”! I have been told by many financial advisers and business professionals that our business could double, triple, or even quadruple our revenue without increasing our expenses if we offered group lessons instead of private instruction. My response has always been the same: students learn faster, with more enjoyment, and show more progress with one on one instruction. Parents love this concept and they love another concept too–private lessons are less expensive than group lessons! You heard me right: private lessons are less expensive than group lessons, and here’s why. A typical group lesson averages 7 students for about 30 minutes at $17 per lesson. But in a group setting, there’s little individual learning. How much practice time is put in when they finish sitting on the wall or hanging on the side, shivering? The answer is a shocking four minutes of learning time! Though the $17 price tag looks cheap for a thirty minute lesson, if the student is only getting 4 minutes of real practice time, that equates to $17 for 4 minutes of true learning. That comes down to $4.25 per minute of instruction–outrageous! Additionally, what can anyone truly learn in such a short span? Let’s take a look at the Making Waves business model. Private lessons usually average at about $45 for a 30 minute lesson. Making Waves is below this average at $43 per 30 minutes of lesson time. 100% of the lesson focuses on the student. There are no other students to distract or deter instruction. 100% of what you are paying for is focused on the student. Oh, and the math? That’s the best part: $1.43 per minute. 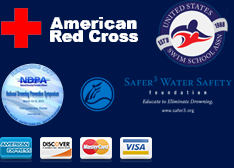 Think of swim lessons as an investment for your student. A group lesson has a lower upfront cost, but higher long-term costs because the student will not be able to progress in a quick and efficient manner. Private lessons are the best investment for the least amount of money, when you factor in the cost per minute, and how quickly the student progresses. If you want a real return for what you’re spending, private lessons are the best option! “Practice makes progress” and when done in a one on one environment it’s more enjoyable, beneficial, much safer and costs less money overall. Regardless of what type of program you choose for yourself or your children, please look at what gives you the safest lesson, the most efficient progress, and the most enjoyment as well as the best value. I think that you will find that much like a tutor instead of a classroom, the results in private lessons are nothing short of extraordinary.